I really liked this week’s Runways challenge. The dress reminded me of a mix between Valentine conversation hearts and modern art! I used a Memory Box die for the trailing hearts border. I filled it in with various pastel cardstock pieces. 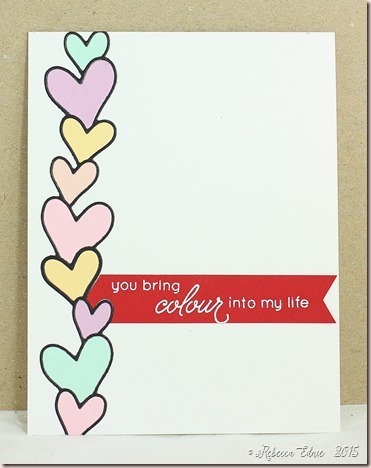 Then for the pop of bright colour from the dress, I added the red sentiment panel with white embossing.